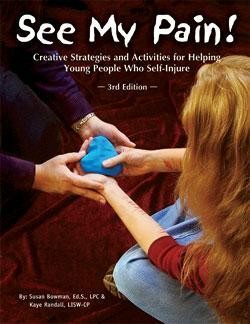 This book provides a collection of strategies and activities to help children and adolescents who deliberately self-injure. 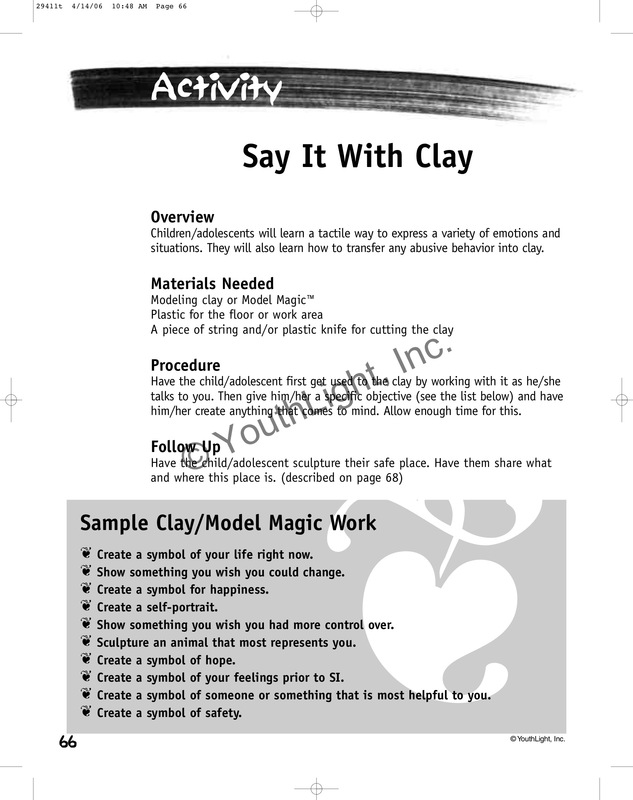 A variety of hands-on creative arts approaches are featured that can be used in private practice and school settings. 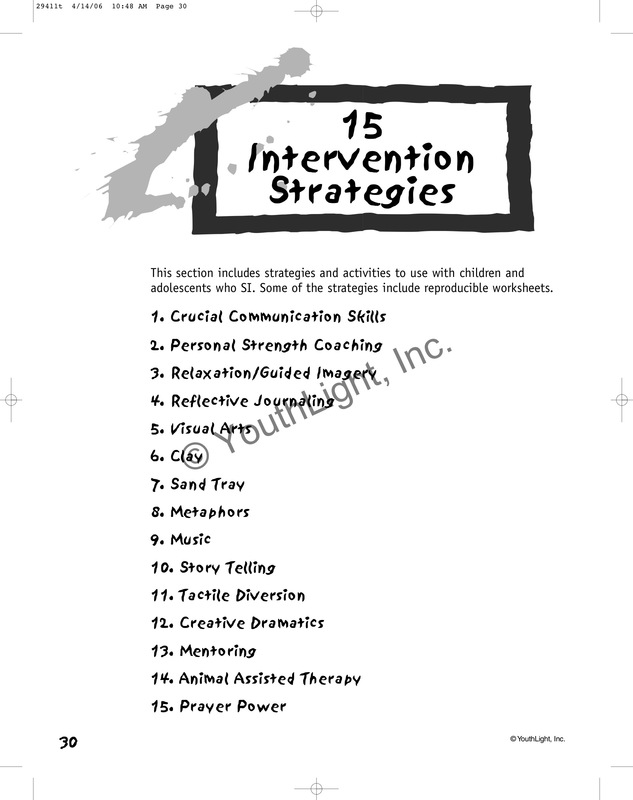 When working with youth who self-injure it is helpful to have a variety of creative approaches at your fingertips. 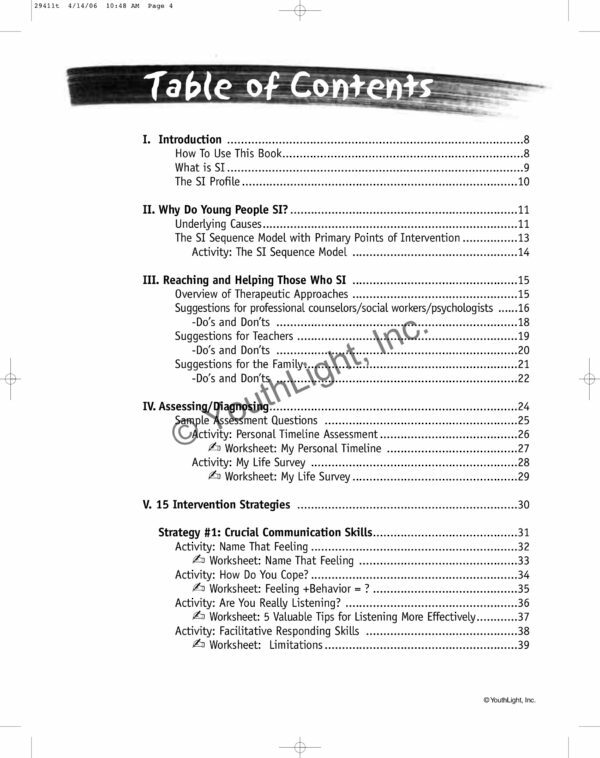 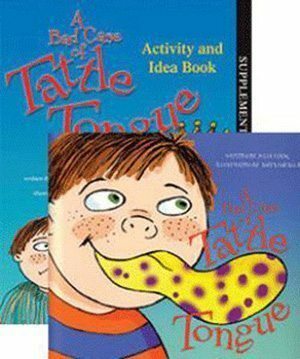 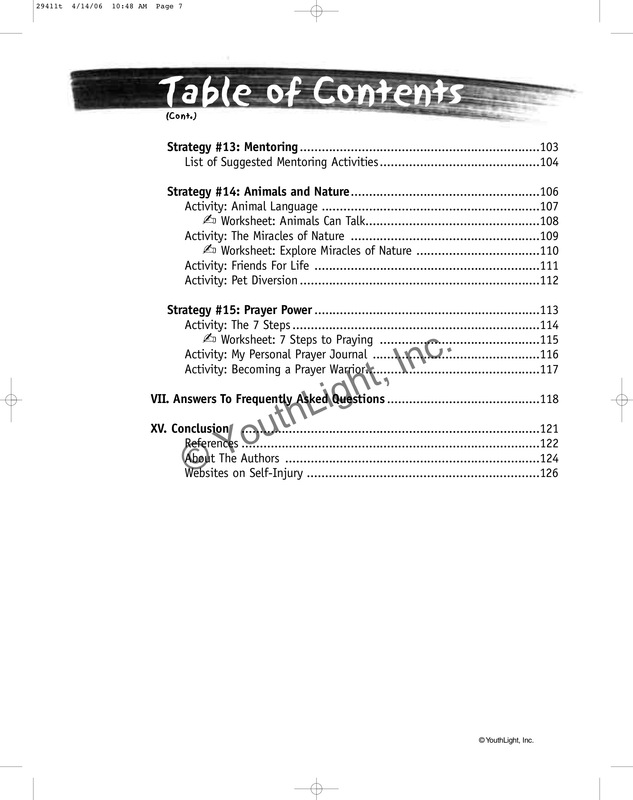 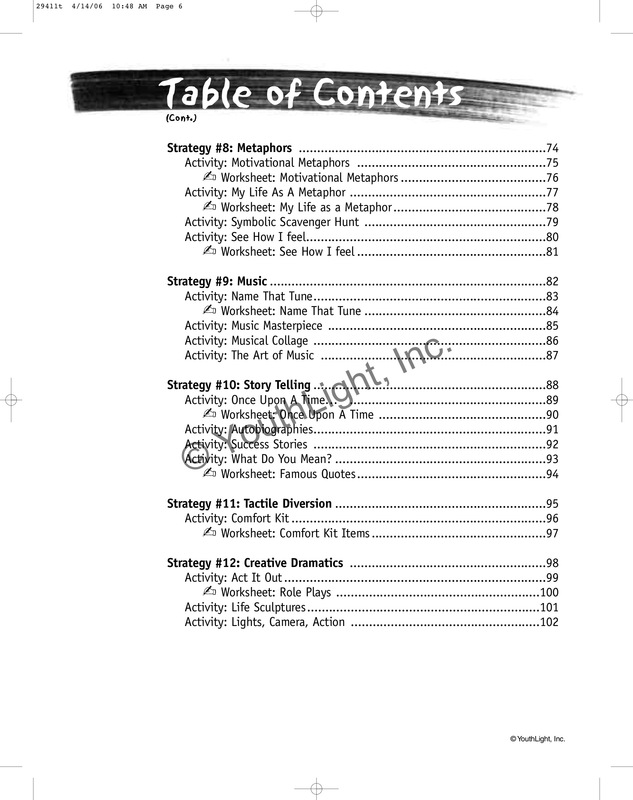 The approaches and activities in this book can be used with individuals or with a small group. The activities help children/adolescents to express their feelings, understand why they self-injure, engage in a healing process, explore new methods of coping and prevention, and find new meaning and purpose in their lives. 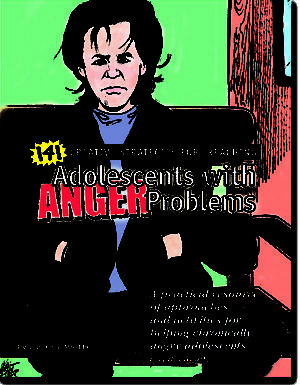 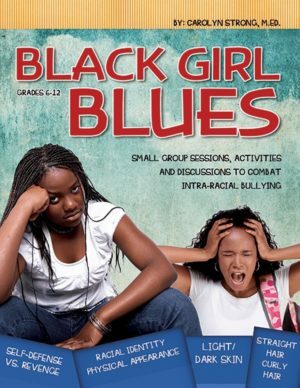 The book provides a description of self-injury in young people and its underlying causes. 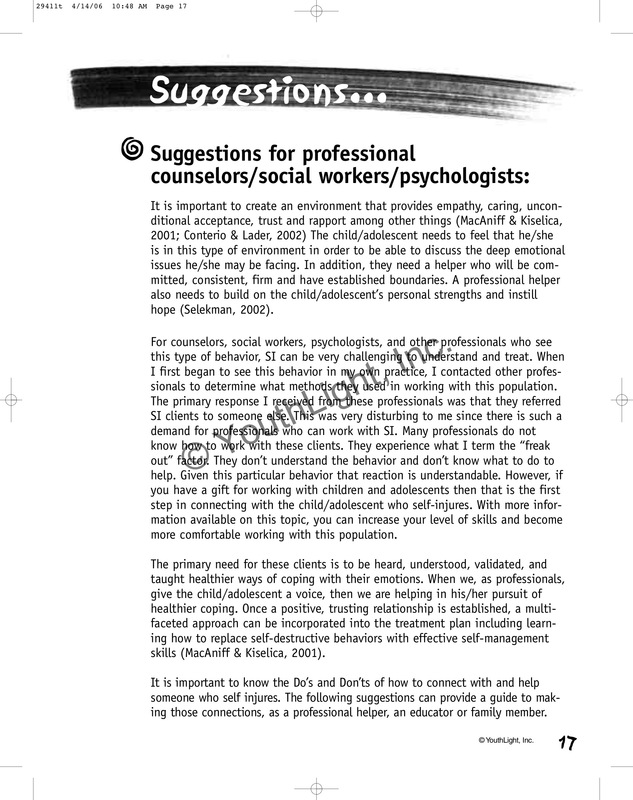 Then, an overview of therapeutic approaches is presented along with suggestions for the professional counselor/social worker/psychologist, teachers and parents. 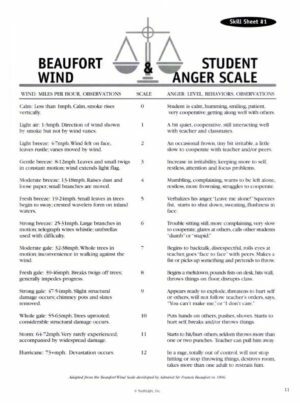 Sample assessment questions and activities are included.